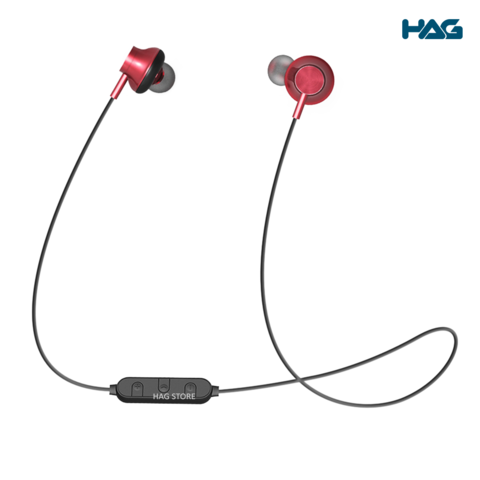 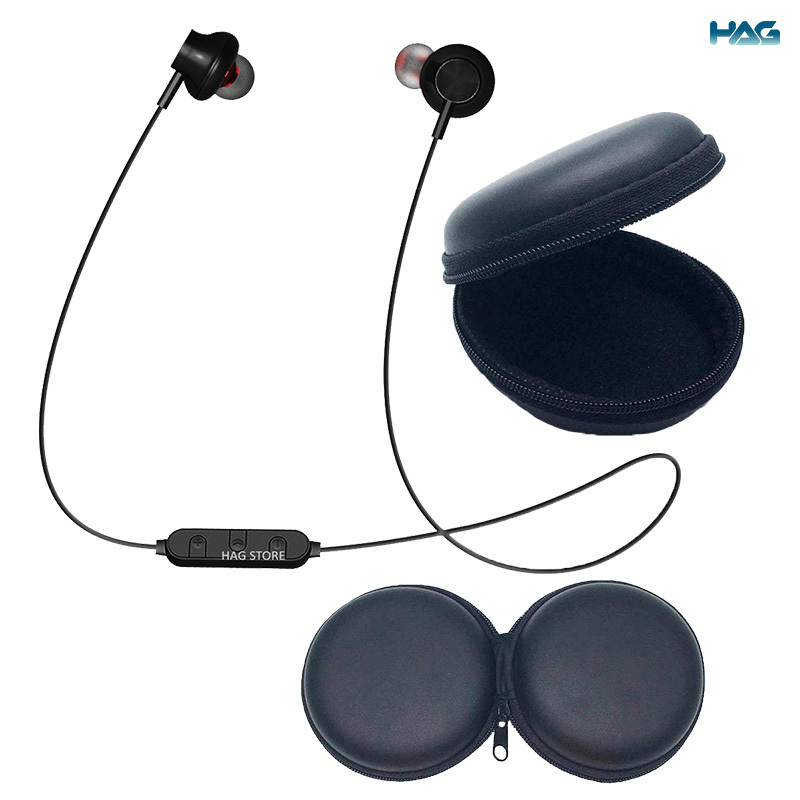 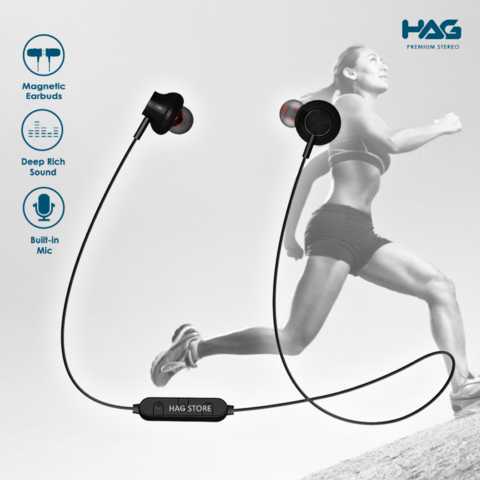 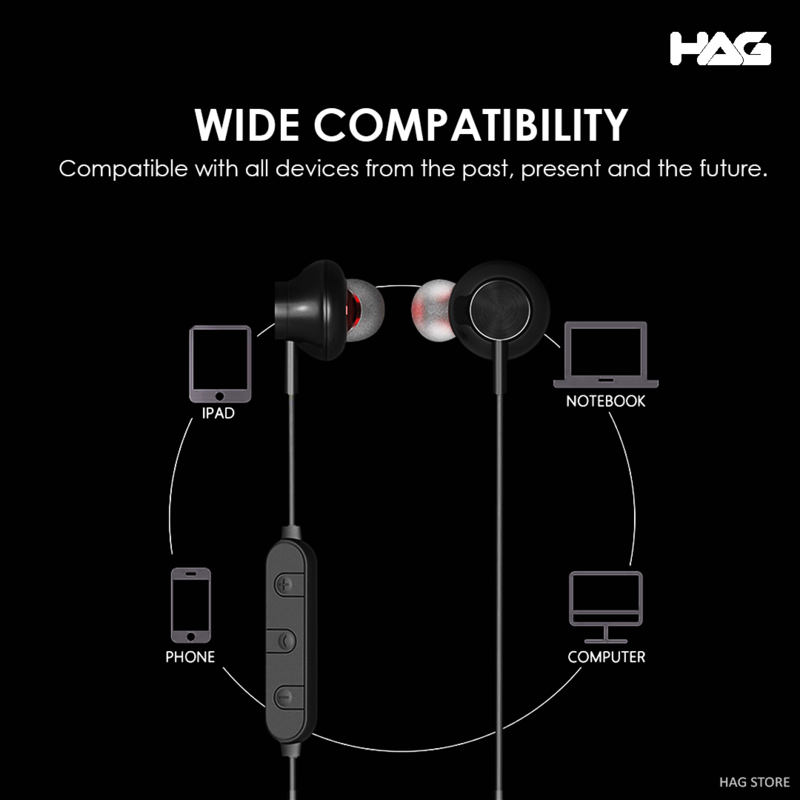 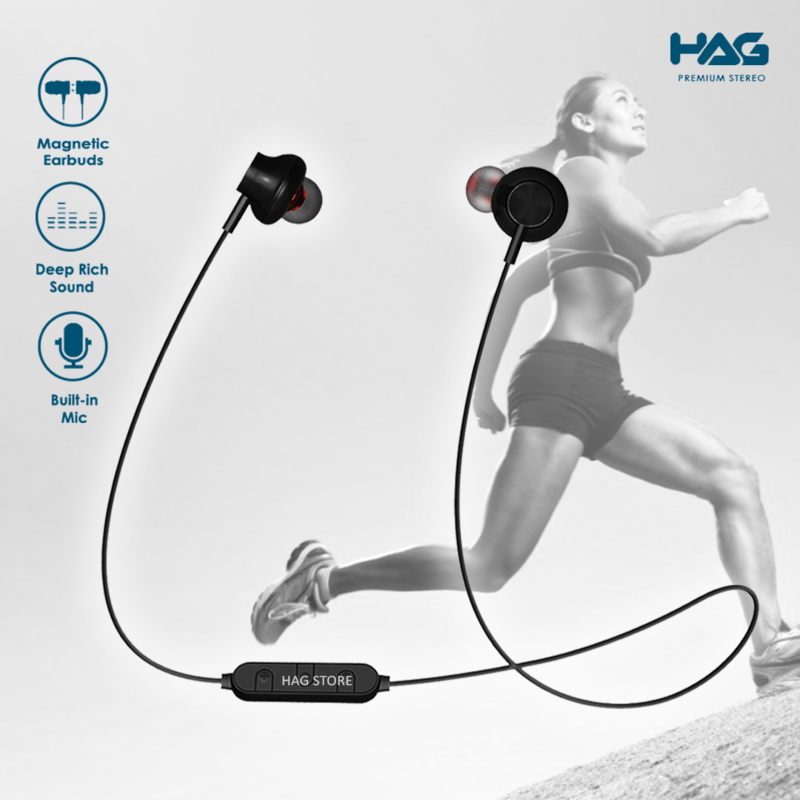 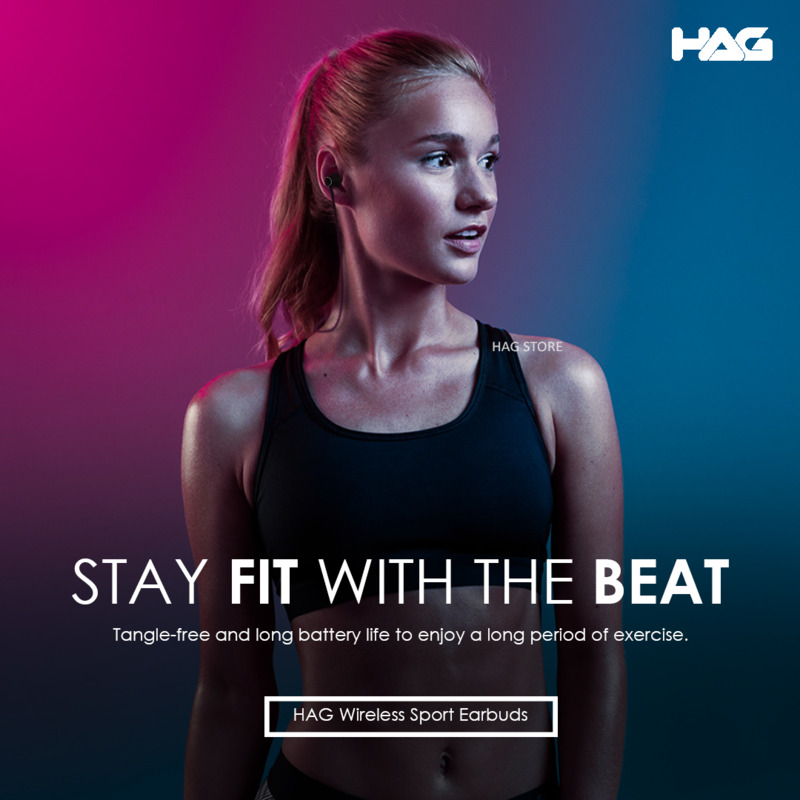 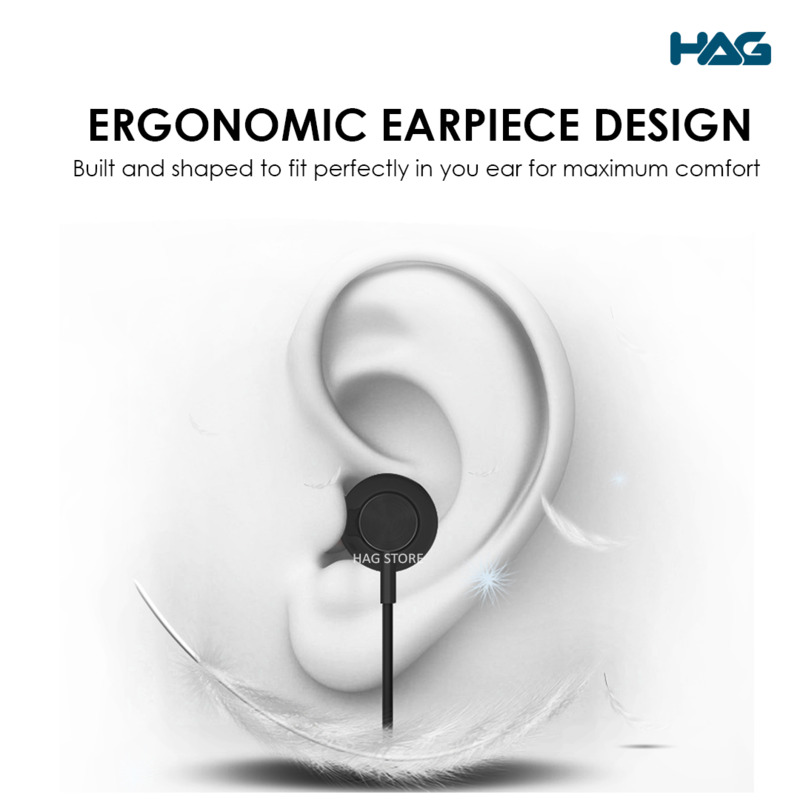 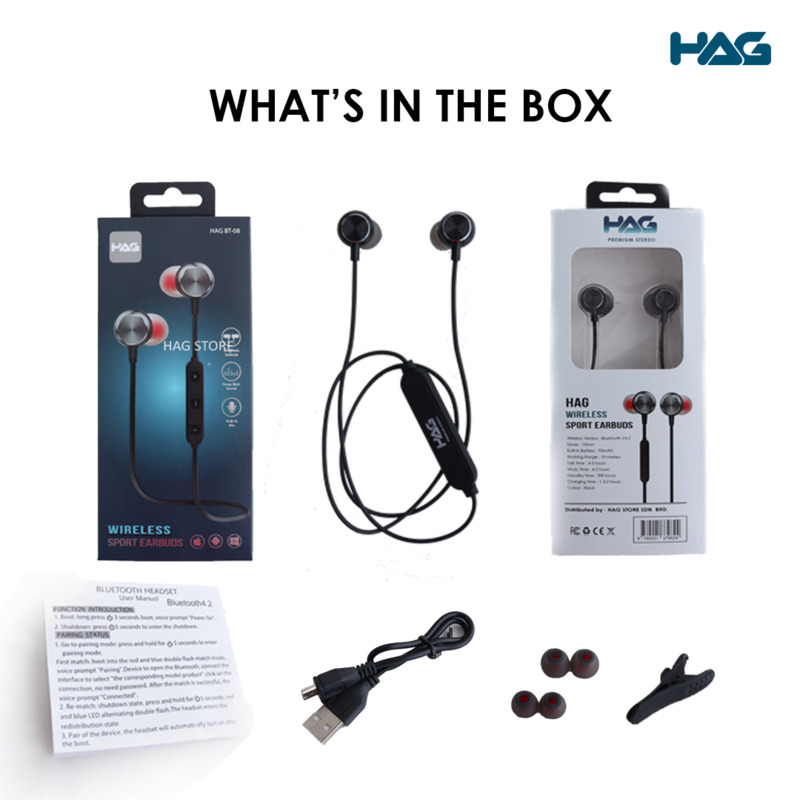 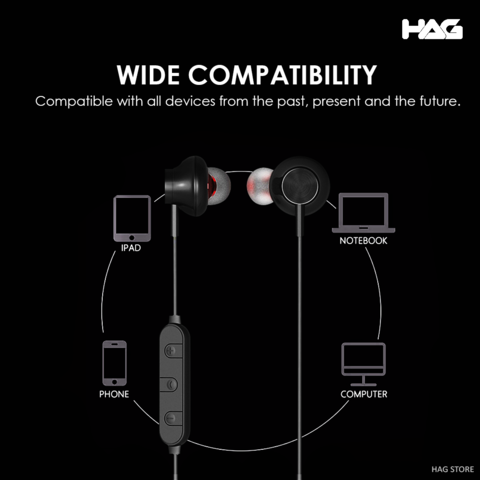 HAG Bluetooth Wireless Earphone gives you the real feeling of enjoying the music lifestyle. It’s stylish and smart Magnetic Design keeps your earphone attached while exercise and avoid losing them. 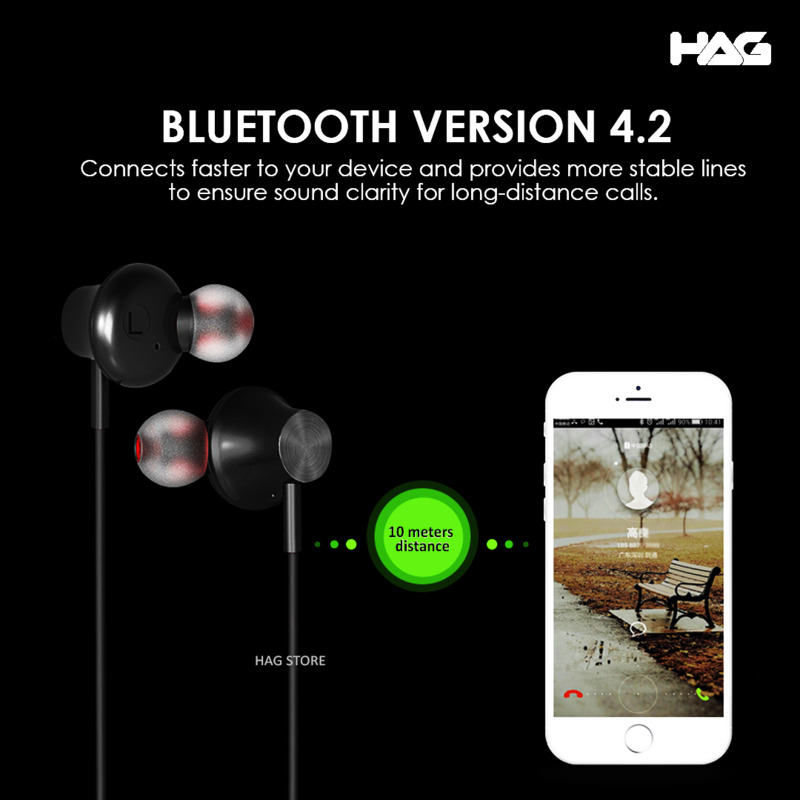 Perfectly for outdoor activities and exercise. Battery Display : Upon connect to Smartphone, earphone battery display is shown on smartphone. 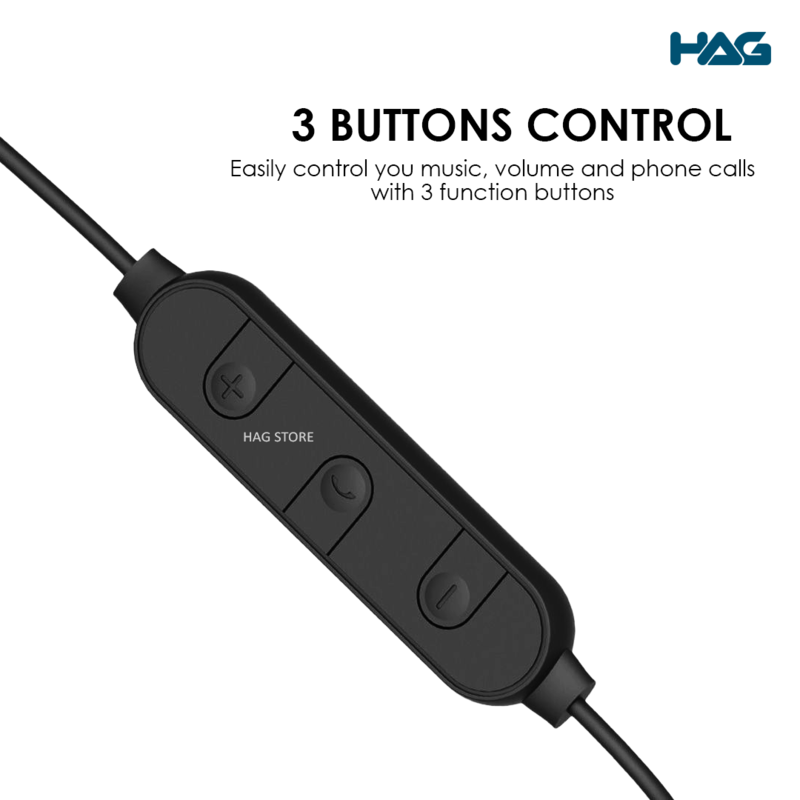 Energy Saving – it will turn of whenever there is no device connection. 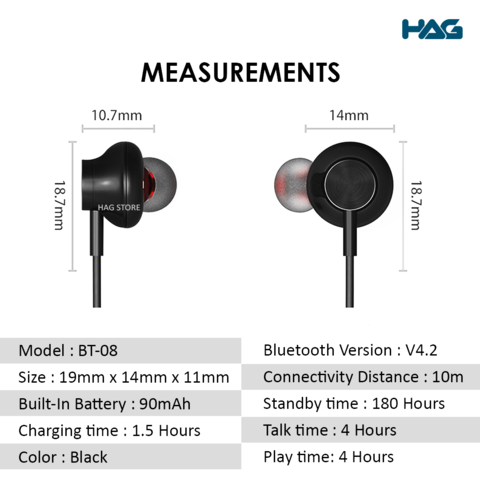 3 Month Warranty from the date of invoice issued. 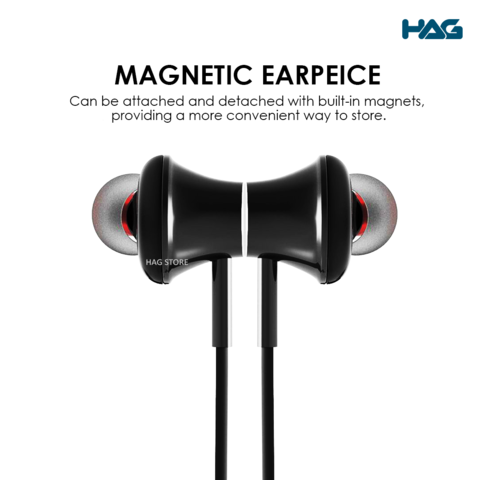 Faulty of goods must not be caused by act of human being. 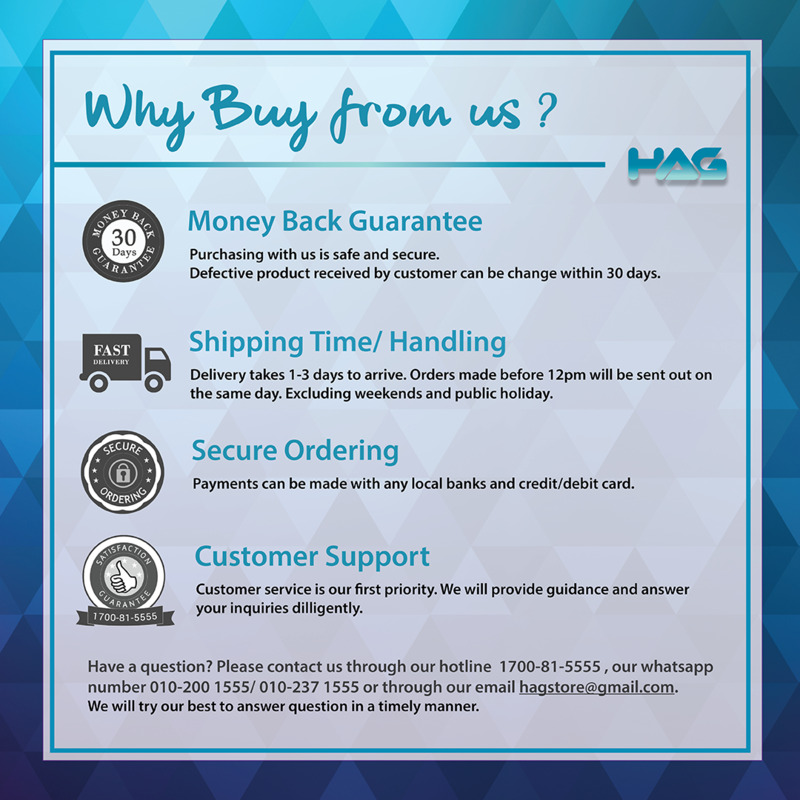 The product to be exchanged must also not be filthy and/or exposed to rain or hot sun.